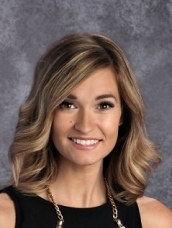 My name is Jordyn Robinson and I have been teaching special education at Arlington Elementary for five years. I love getting the opportunity to work with children of varying needs while helping them discover their strengths. We work daily on reading, writing and math skills, while also incorporating project based learning activities as well as various life skills. Through their time in my classroom, I hope to see students discover new areas of interest that inspire them to learn more. I live in Buckeye with my husband and 8 month old son. My husband and I have been married for six years. On the evenings and weekends we enjoy spending time outside, visiting friends and family, and staying active. As a teacher I particularly enjoy teaching reading and writing. I love watching students discover their voice as an author while being inspired by the works of other great writers .